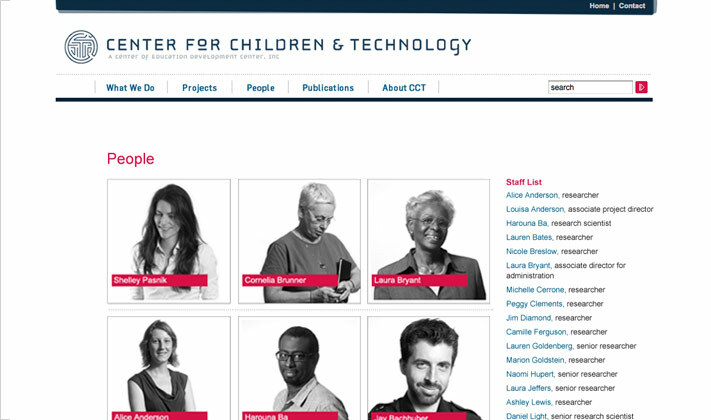 Center for Children and Technology (CCT), a division of Boston-based Education Development Center, investigates the roles that technology can play in improving teaching and learning within children’s classrooms, schools, and communities. 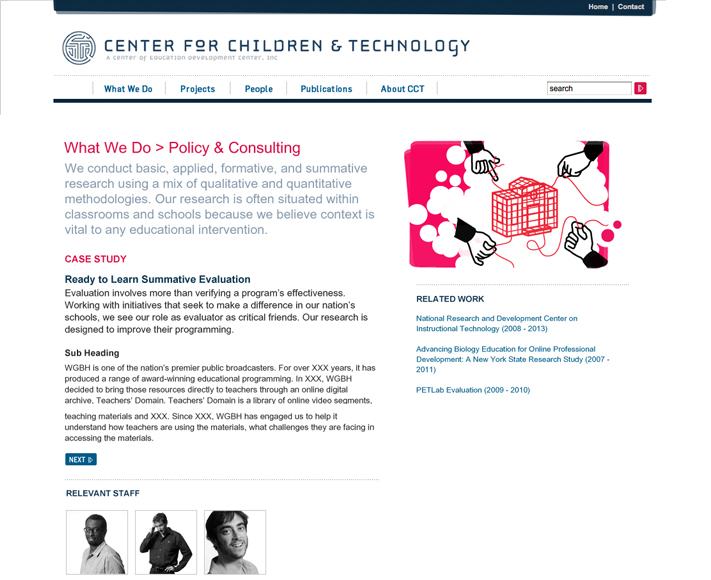 CCT contracted Cabengo to redesign its website to better express its mission and work. Cabengo worked closely with CCT to develop a content and architecture strategy that more effectively showcased the breadth and depth of its work. Working with Christoph Neiman’s clever, graphic illustrations, we designed a fresh, playful look and feel to capture the innovative spirit of CCT’s work. For the homepage, we created dynamic content areas, including a frequently updated “whereabouts” section, to underscore CCT vital engagement in the field.